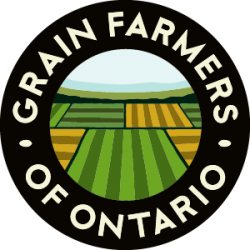 GUELPH, ON (August 31, 2016) – Grain Farmers of Ontario farmer-members are already familiar with SellSmart, the popular grain pricing app. As of August 31, SellSmart users are invited to download the latest update and enjoy new features, improved functionality, and a refined interface. 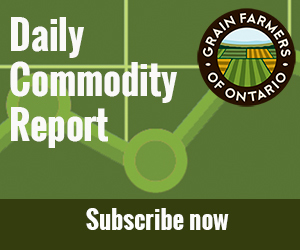 Originally released for BlackBerry in 2010, SellSmart was designed to assist Ontario grain farmers with selling their corn, soybeans, and wheat by providing delayed futures pricing data from CBOT and adjusted cash prices for select grain elevators across Ontario. SellSmart has been completely rebuilt from the ground up to meet new standards for accessibility and responsiveness. In addition to significant improvements to the user interface, the app will also support currency conversion and barley and oat pricing. The popular price alert feature, which alerts users when crops reach a target price they have set, has also been enhanced in this update. The new version of SellSmart is now available for Apple iOS devices and Android devices at no cost. It will be released shortly for BlackBerry BB10 devices; users with older BlackBerry devices will still have access to the original version of SellSmart in the BlackBerry World store. SellSmart, and other useful apps for grain farmers, can be found at www.gfo.ca/apps.